You have Simatic 505® or CTI 2500 Series® programmed with obsolete APT® or its modern replacement ‘FTSolution for APT®’ from FasTrak. 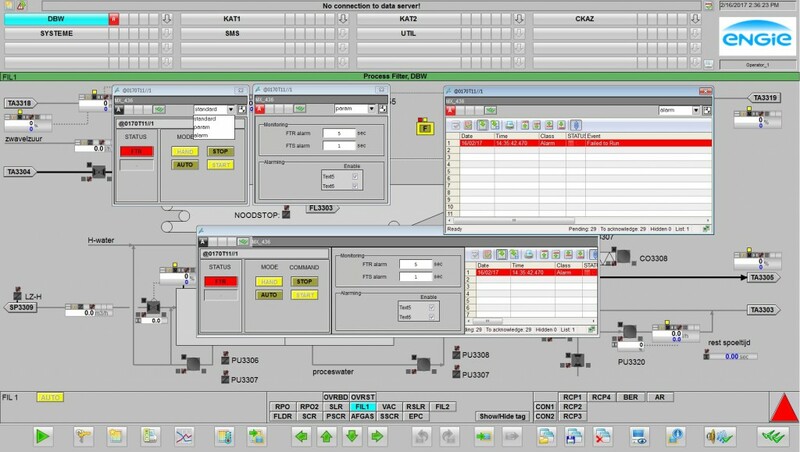 Possibly, you have one or several Simatic PCS7 systems (Version 8) in your plant but you cannot connect them to the Simatic 505® and CTI 2500 Series® because of the obsolete Sinec H1 network. Our migration solution includes a conversion tool for existing PCS7 OSx graphics to PCS7 graphics and a conversion tool to transfer PLC program compilation data (i.e. the INSTALL.TAG file generated by APT® or FTSolution for APT®) to the CTI OPC server (2500-OPC). Usually migration tool assists you in the central task of transferring the tag database from the old system to the new one. But when this task is done, you still have to redesign the graphic by reverse engineering the old ones. This is a time consuming task which also includes risk for human errors. Besides, the DBA Open OS tool, included in PCS7 Open OS®, transfer the variable and alarm databases from APT® or FTSolution for APT® to PCS7 Open OS®, with no risk of addressing mismatch.